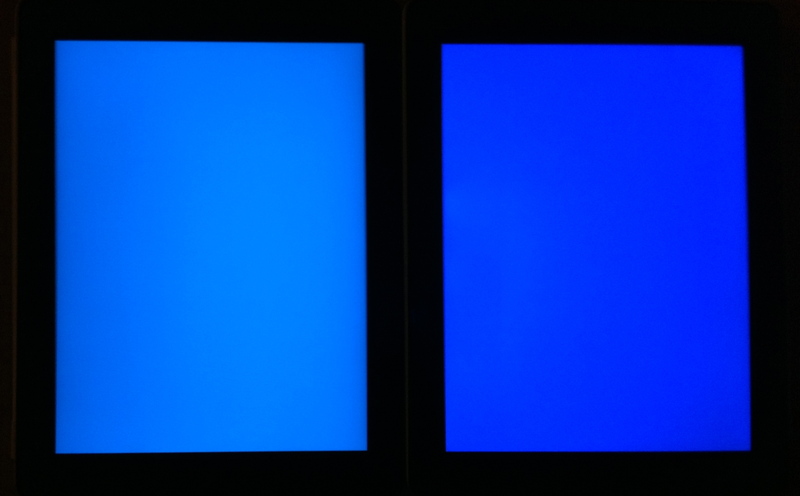 Last week I set out to define the ultimate consumer display experience in terms of color performance. I laid out some potential color performance design goals for an ideal display, suggesting that such a display should be both accurate and capable of creating an exciting, immersive experience that jumps off the shelf at retail. Can we achieve both goals? To find out, let’s start by looking at how we perceive color. The color of objects that our eyes see in nature is determined by three things: physical, physiological and psychological. The physical component of our color perception is a constant based on the laws of nature. It is a combination of the quality of the illumination or light source, in this case meaning spectrum it contains, and the reflectance of the object. In the image above, the ball appears red to the eye because it is reflecting red light, while absorbing most the other colors from the light source. The physiological part of our vision is also a relative constant that is based on the electrochemical processes of the eye. The back of the retina contains photoreceptor nerve cells which transform incoming light into electrical impulses. These electrical impulses are sent to the optic nerve of the eye and onto the brain, which processes and creates the image we see. And that’s where the psychological component comes in. Let’s look at how each of these components might affect display color performance, starting with the physical, which ought to be something we can measure. 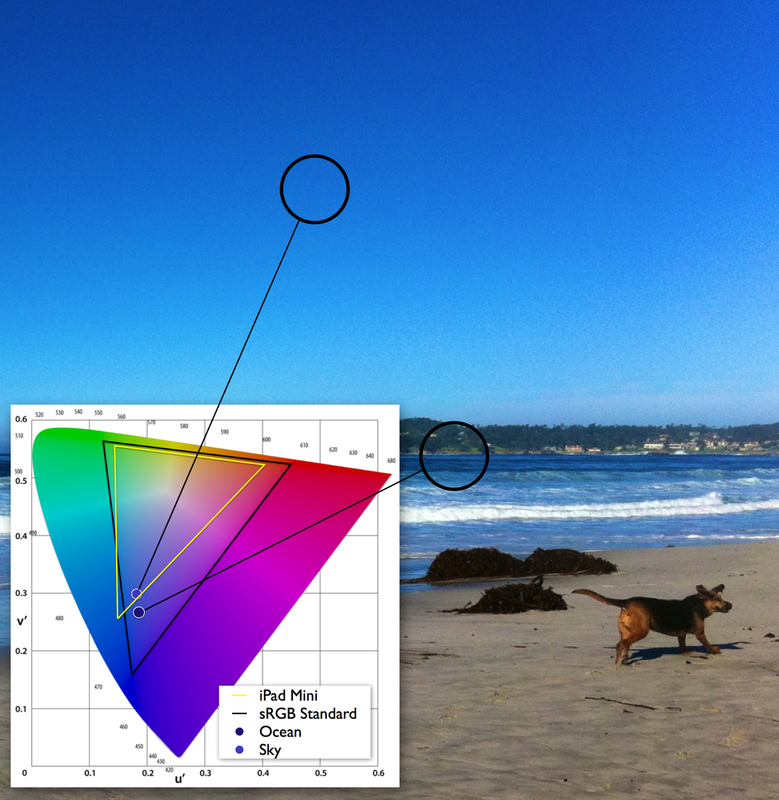 Color gamut of over 4,000 colors found in nature as measured by Pointer against the color gamut of the iPhone 5. This already seems like a great place to start. It immediately looks like a great fit our first ultimate color experience criteria which was accuracy. If we could accurately capture and reproduce all of the colors found in the natural world it would make for a much improved, more accurate ecommerce experience, for example. But how important are those extra colors? 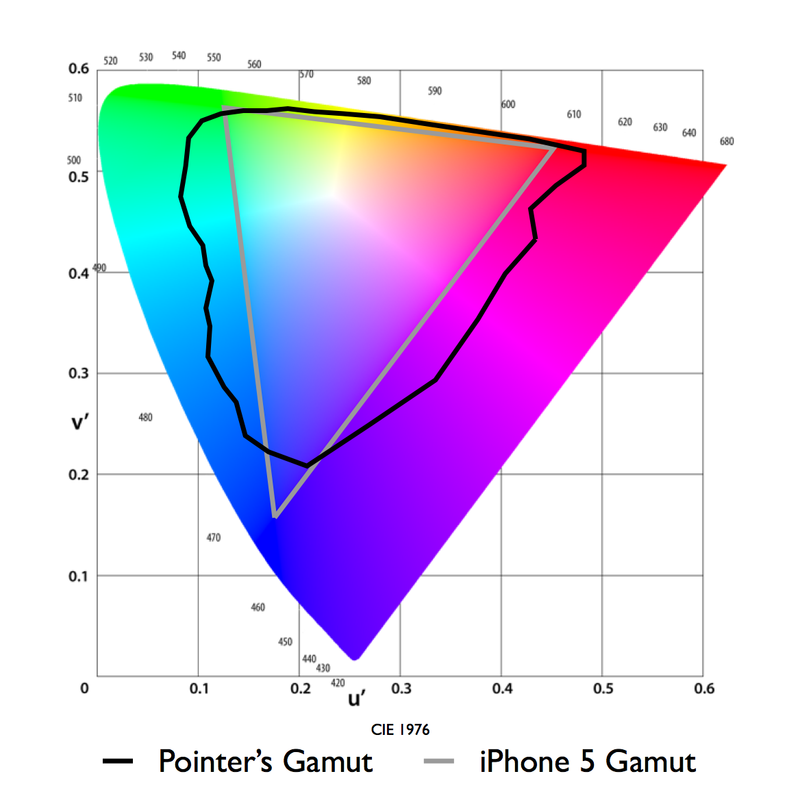 Looking at Pointer’s gamut mapped against the color gamut of the latest iPhone in the chart above, you have to wonder if we really come across these deep cyans and reds in everyday life. Are they just infrequent, rare colors or something worth pursuing for our display? Turns out we do. As an example, Pantone’s color of the year for 2012 was a deep emerald green that falls outside of both the iPhone’s gamut and the HDTV broadcast standard. This is an important and popular color that appears a bit too yellowish on your computer monitor when you are shopping for the perfect tie on Amazon. So there are some really important colors outside of what the iPhone can display today. But, what about our second criteria, the lifelike, exciting, immersive experience we want to give consumers? Is the gamut of the natural world enough? This is starting to sound like a much more immersive experience. Maybe we ought to pursue the full color capability of the human eye just like the industry has done for high, “retina” resolutions. It sounds great but it would be a tall order. It would take quite a lot of power, brightness and extra bit depth to even begin to think about covering a color space this large. There certainly would be a high price to pay in terms of design tradeoffs to get there. So are there any truly valuable colors contained in that extra space, similar to the Pantone color in Pointer’s gamut, that would make us want to go for it? This is where the psychological component comes into play. Seeing is not passive. Our brains add meaning to the light that our eyes detect based on context and experience and memory. We are continuously and actively re-visualizing the light that comes out of our retinas. This may seem hard to believe but this fun demo created by neuroscientist Beau Lotto does a great job of showing just how much our brains actively interpret and change what we see. The color of the chips has not changed in the video above, just our perception of the color. What’s happening here is our experience is telling us that the color chip in shadow must actually be a much brighter color than the chip under direct illumination, so our brain is just making the correction for us on the fly. 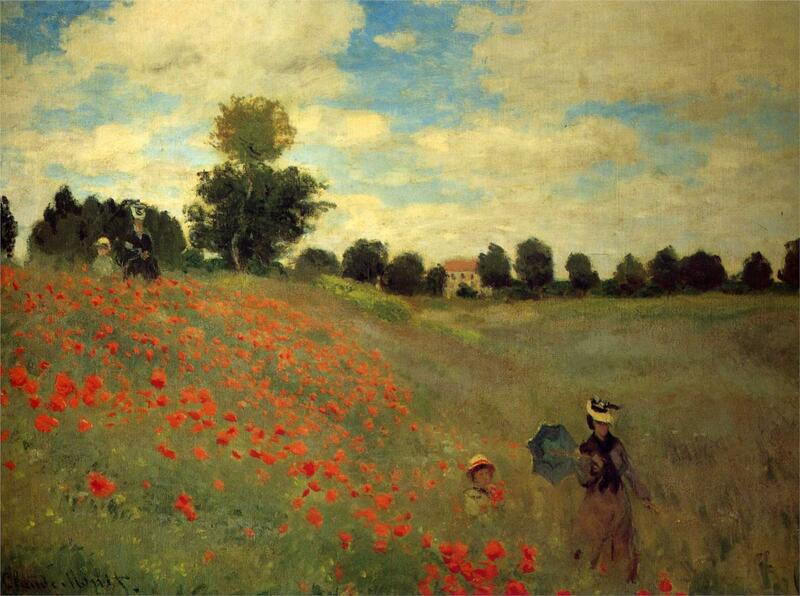 So, whether it’s Monet using saturated and contrasting colors with equal luminance to trick our brains into seeing poppy flowers sway in an imaginary breeze in a 19th century painting or modern films which sometimes rely on the wider gamut capabilities of color film and digital cinema projection to create uniquely cinematic experiences for audiences. There’s certainly a place for wild, unexpected colors in art. But, as we go through some of these examples, I think we’ll actually find that there is a huge range of expression possible within the gamut of surface colors that Pointer measured. The full range of gamut detectable by the human eye, while exciting to think about, is not really necessary to deliver both accurate and pleasing (engaging) color to our visual system. 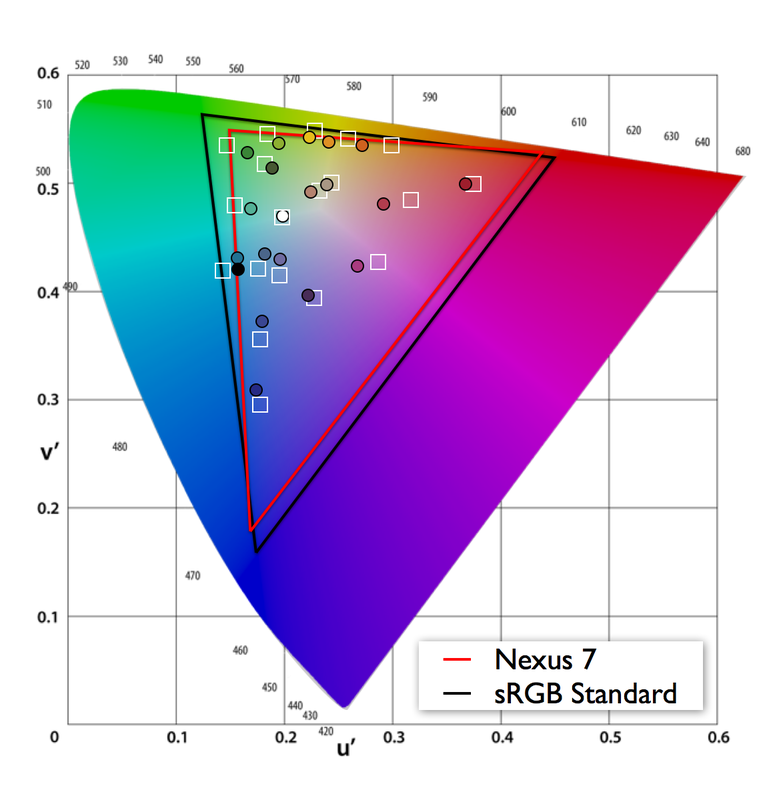 In my next post I’ll look at existing wide color gamut standards and content delivery mechanisms to see both what we can do today and what’s next for wide color gamut displays. Finally getting around to posting a follow-up to a follow-up to John The Math Guy’s recent series on color gamut size, colorblindness and tablet displays. I thought I might be able to at least shed a little more light on his question about the differences in color accuracy between some of these devices. In his testing, John found no statistically significant difference in scores among different people taking the EnChroma colorblindness test on different devices. 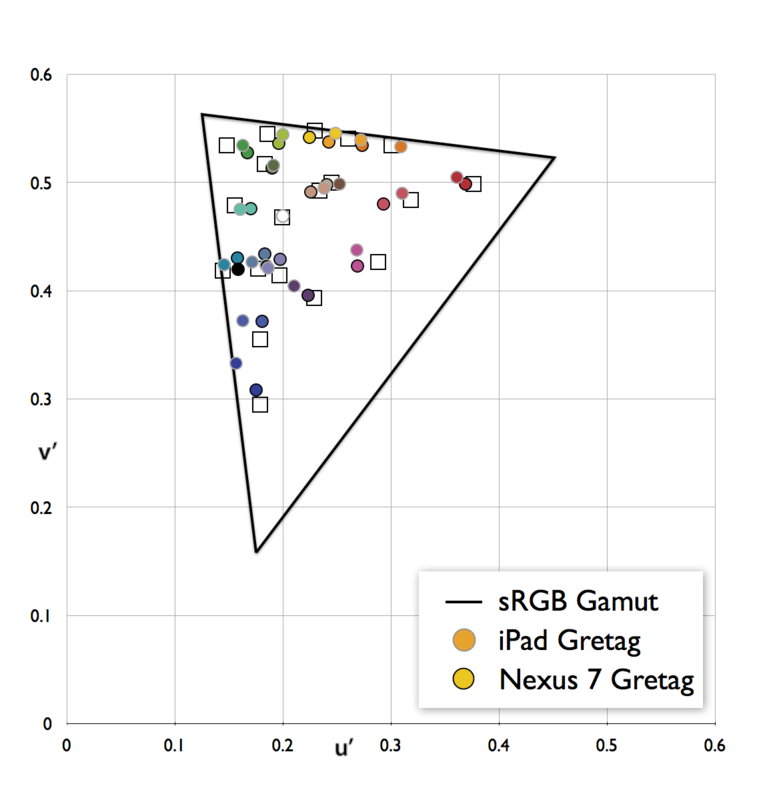 I found this somewhat surprising since, in my experience, even tablets with similar color gamuts tend to show colors with very different levels of accuracy. For many who are new to the world of display measurement, the prevalence of two distinct, but often-interchanged color spaces can be a source of confusion. Since my recent post about the color performance of Apple’s new iPad, a number of people have asked about this topic, so I thought it would be worth a closer look. 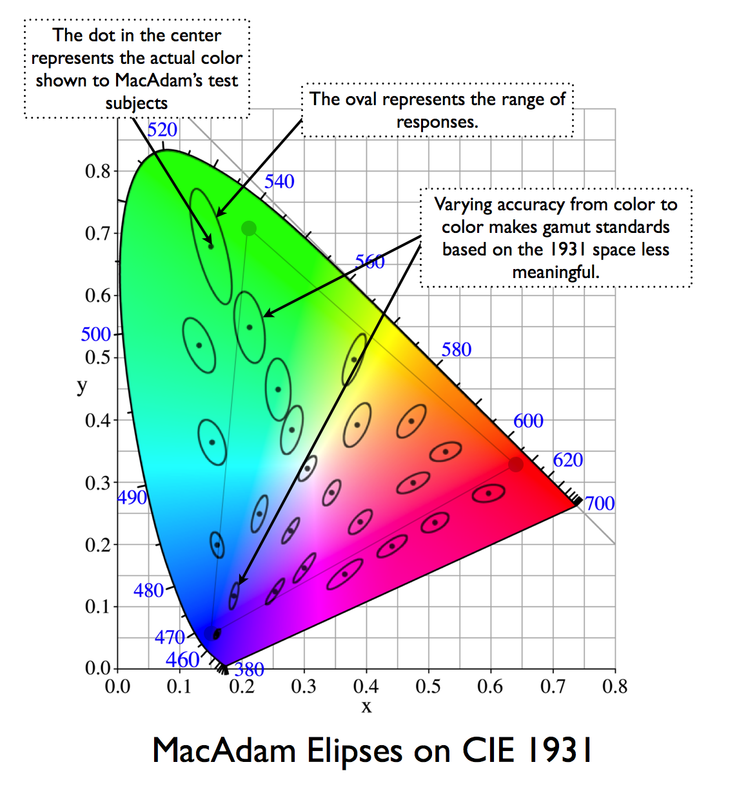 In the world of displays and color images, there exists a variety of separate standards for mapping color, CIE 1931 and CIE 1976 being the most popular among them. Despite its age, CIE 1931, named for the year of its adoption, remains a well-worn and familiar shorthand throughout the display industry. 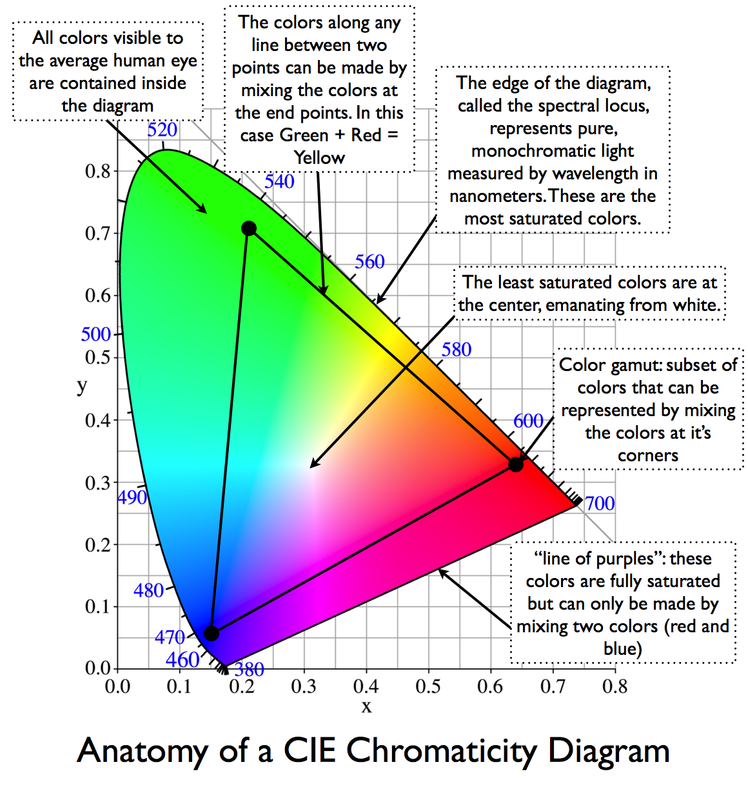 As a marketer of high color gamut display components, I can tell you from firsthand experience that CIE 1931 is the primary language of our customers. When a customer tells me that their current display “can do 72% of NTSC,” they implicitly mean 72% of NTSC 1953 color gamut as mapped against CIE 1931. So why are there two standards, and why are we trying to declare one of them obsolete? Let me explain. 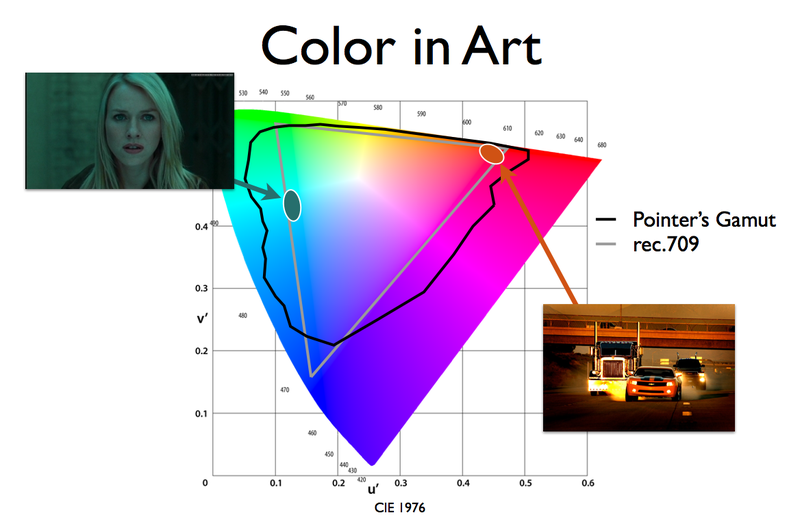 First, a little background on color spaces and how they work. While there are a number of different types of color spaces, we are specifically interested in chromaticity diagrams, which only measure color quality, independent of other factors like luminance. A color space is a uniform representation of visible light. It maps the all of the colors visible to the human eye onto an x-y grid and assigns them measureable values. This allows us to make uniform measurements and comparisons between colors, and offers certainty that images look the same from display to display when used to create color gamut standards. What makes a good color space? An effective color space should map with reasonable accuracy and consistancy to the human perception of color. Content creators want to be sure that the color they see on their display is the same color you see on your display. This is where the CIE 1931 standard falls apart. Based on the work of David MacAdam in the 1940’s, we learn that the variance in percieved color, when mapped in the CIE 1931 color space, is not linear from color to color. In other words, if you show a group of people the same green, then map what they see against the CIE 1931 color space, they will report seeing a wide decprepancy of different hues of green. However, if you show the same group a blue image, there will be much more agreement on what color blue they are seeing. This uneveness creates problems when trying to make uniform measurements with CIE 1931. It was not until 1976 that the CIE was able to settle on a significantly more linear color space. If we reproduce MacAdam’s work using the new standard, variations in percieve color are minimalized and the MacAdam’s Elipses mapped on a 1976 CIE diagram appear much more evenly sized and circular, as opposed to oblong. This makes color comparisons using CIE 1976 significantly more meaningful. The increased gamut of the new iPad is worth testing. Next time you find yourself in an Apple store, grab an iPad 2, hold it alongside a new iPad, Google up a color bar image and see the difference for yourself. So, why do we still use CIE 1931 at all? The only real answer is that old habits die hard. The industry has relied on CIE 1931 since its inception, and change is coming slowly. Apple’s new iPad display; what does 44% more color get you? Last Friday Apple released an updated version of one of their hottest products, called simply “the new iPad.” Central to the update is a brand new display featuring significantly more resolution and color saturation. Since the resolution bit has been covered to death by others and we’re interested in color here we thought we’d take a closer look at Apple’s color saturation claims. Our new iPad arrived on Friday and since then we’ve submitted it to several tests using our Photo Research PR 655 Spectroradiometer. The key color claim that Apple made on stage at the iPad announcement was that the new iPad has 44% more color saturation. What they mean by that of course depends on the context. There are a couple of different color measurement standards that Apple could be gauging the performance of the new iPad against such as CIE 1931 or CIE 1976. An easy way to think about these standards is a bit like the temperature measures that we are all familiar with, Celsius and Fahrenheit, in that they are different ways communicating the same information. Saying, “it’s 5 degrees warmer today” means something very different to users of each system and its much the same way with color spaces, only we’re talking about measuring how the eye perceives color, not how warm it is outside. 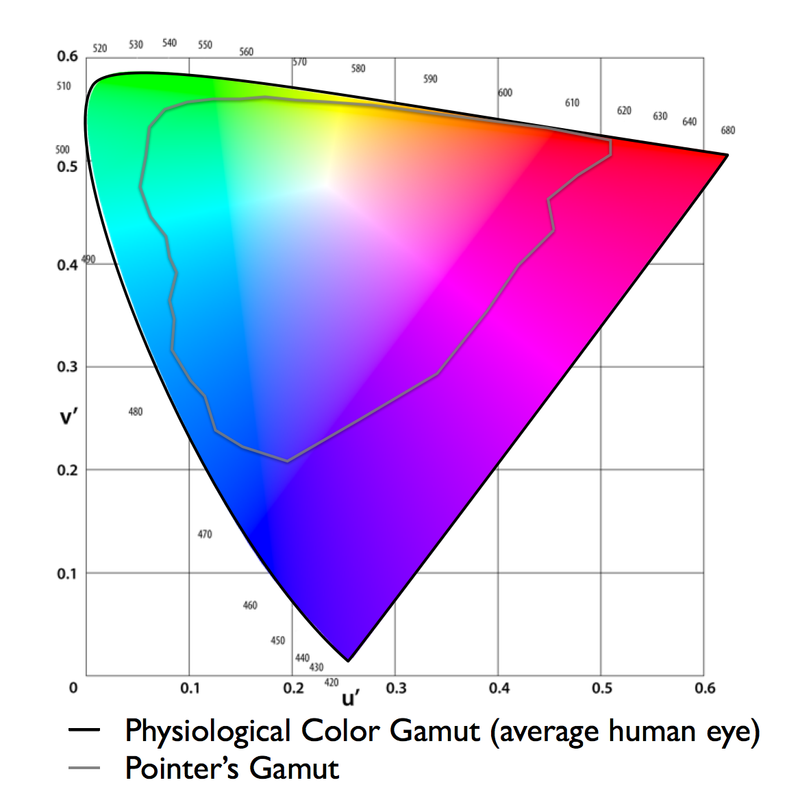 We should also note that when people in the display industry talk about color saturation as a percentage, it is common practice to refer to a color gamut standard within a CIE color space. There are many color gamut standards in use today including: NTSC, sRGB, Adobe RGB 1998, DCI-P3, and rec 709. Each of these standards is a subset of a CIE color space. They are typically used by content creators to ensure the compatibility of their work from device to device. For example, if I create an image in Adobe RGB, I would like to display it on a screen that can show all of the colors in Adobe RGB in order to make sure it accurately reproduces all the colors in my original shot. 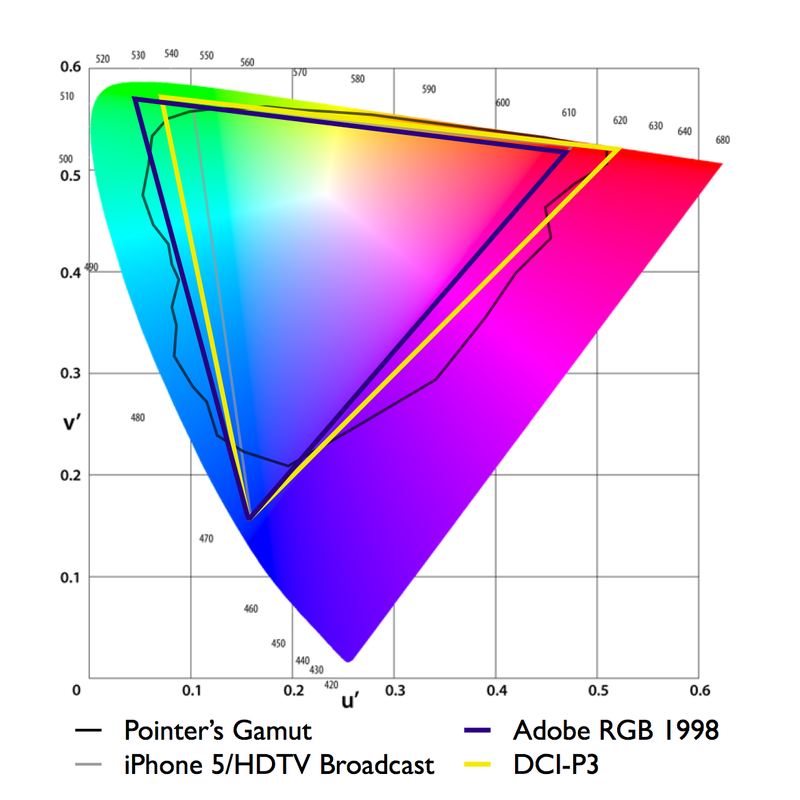 Based on our measurements it looks like Apple is referring to the NTSC gamut within a color space. But which color space do they mean? 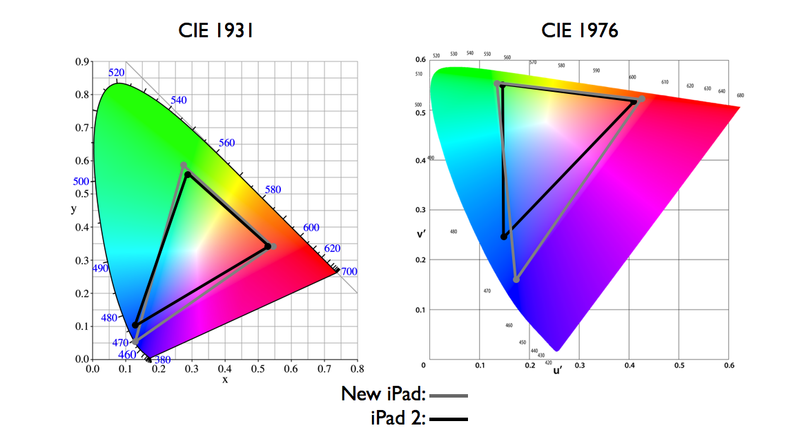 A 44% improvement within the CIE 1931 color space would give the new iPad the equivalent of the sRGB standard used by HDTV broadcasts, Blu-Ray and much of the web. Given the significance of achieving that standard, some thought Apple must have been trying to say “sRGB” without confusing consumers by describing the meaning of various color standards. According to our data, this is not the case. The new iPad only manages about 26% more saturation over the iPad 2 when measured against the CIE 1931 NTSC color space. However, the unit we measured showed a 48% increase in saturation when measured in the CIE 1976 color space, so that must be Apples frame of reference. Measurements and standards aside, the new display looks great. The improvement in color performance will greatly enhance the user experience, and as we discussed yesterday, show’s what Apple is betting on for the functionality of future devices. In our next post we will explain exactly how Apple achieved this improved color performance and look at ways they can improve the next generation.